Our business works because we use as few resources as we can. Fewer resources equal less waste. We simply couldn’t afford to offer you such low prices if we were wasteful or inefficient. 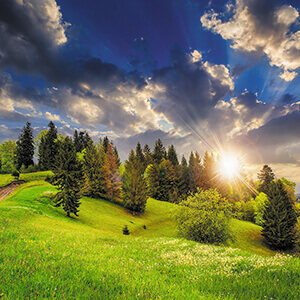 The print industry is one of the few industries to substantially reduce its environmental impact since the establishment of the Kyoto Baseline measurements in 1990. We are an early adopter of CTP in New Zealand, and were the first in Wellington, we are proud of our position as a leader in sustainability in print for New Zealand. Wherever possible, we separate our waste for recycling. Active recycling occurs for aluminium printing plates, packaging, cardboard, paper, glass, plastic, office waste and digital print waste products. Our inks are vegetable oil based, contain less than 1% mineral oils, and are made from renewable sources. (Traditional printing inks are mineral solvent based). We are advanced users of CTP systems eliminating the need for film and its associated chemistry from the prepress process. The adoption of CTP has been credited with being a major factor in the print industries massive improvements (97%) on key indicators from the establishment of the Kyoto Protocol baselines in 1990. We are early adopters of CTP and today all printing plates we make are CTP. Chemical and solvent usage has been systematically reduced. We recover and recycle the press wash up solution. All wash up solutions have been changed to Low Volatile Organic Compounds (VOC) washes. The use of low VOC washes reduces the amount of emissions from the wash up process by 60% or more. Isopropyl alcohol is a significant source of greenhouse gas emissions in the printing industry due to its high volatility. We use the minimum amount of IPA in our printing processes and are actively pursuing technologies that will allow further reduction in the use of IPA. We have undertaken many initiatives to reduce water and power consumption. Improvement in this area is continuous with regular review of best practice opportunities. One example of reduction pursued is the re-positioning of water activation sensors in the CTP plate process. By moving the sensors that activate the water flow closer to when the plate actually needs it, as much as 6 liters of water per plate can be saved. The effect of this is obvious when you consider that we make in excess of 3,000 plates per month.